A conviction for drunk driving (DUI), also known as Operating While Intoxicated (OWI), carries serious consequences. The belief that these offenses always result in convictions is a myth. A highly experienced criminal defense attorney can sometimes find a way to avoid jail, probation and a conviction. Prosecutors charging felony and misdemeanor drunken driving offenses in Royal Oak, Michigan are notoriously tough; however, a great defense lawyer can turn the tables to your advantage. The evidence of an OWI is often nothing more than the opinion of a police officer. Frequently, the prosecution’s case is based solely on the opinion of a police officer and breath or blood tests that are frequently flawed and unreliable. In the typical OWI case, the arresting officer may allege that the motorist exhibited signs of intoxication, which could be the odor of an alcoholic beverage, bloodshot and watery eyes, slurred speech, or that the defendant was unsteady on her feet. These observations are subjective and a thorough investigation often reveals that the allegations are either untrue or exaggerated. It should be remembered that every motorist is presumed innocent, and the prosecution has the burden to prove their case beyond a reasonable doubt or the defendant must be found ‘not guilty’. Clearly, an OWI or DWI is politically unpopular and judges often use their tough sentences when seeking to justify their re-election. Legislators work hard to give prosecutors and courts additional tools to pursue convictions and increase the severity of the penalties in these cases. Anyone who is familiar with the system knows that it is rigged to facilitate a conviction. Advocacy groups such as MADD (Mothers Against Drunk Driving) lobby for tougher and tougher OWI laws and encourage law enforcement to make more and more arrests. The result of all this pressure is that officers sometimes are overzealous and make mistakes in their investigation or make arrests without probable cause. These types of errors, when exposed, can result in the dismissal of all charges. Advocacy groups such as MADD (Mothers Against Drunk Driving) lobby for tougher and tougher OWI laws and encourage law enforcement to make more and more arrests. The result of all this pressure is that officers sometimes are overzealous. An officer who is trying to build a case, as opposed to doing a fair investigation, will frequently make mistakes or make arrests without probable cause. These types of errors, when exposed, can result in the dismissal of all charges. In addition to penalties imposed by the court, the Michigan Department of State will impose license sanctions if there is a conviction. If your driver’s license is revoked, you will not be able to drive again until Michigan reinstates your driving privileges. People with an OWI conviction on their record may have trouble obtaining or keeping a professional license (doctors, lawyers, nurses, etc.) or a security clearance, which may prevent current or future employment. An alcohol-related conviction could interfere with obtaining loans or prevent you from traveling to other countries, such as Canada. There is no reason just to accept these consequences without a fight! Even in cases with overwhelming evidence, the defense team with LEWIS &amp; DICKSTEIN, P.L.L.C. can frequently negotiate a resolution with the prosecutor for reduced charges and penalties. In some cases, we can advocate for a complete dismissal, a reduction to a non-alcohol related offense, or an acquittal at trial. If you are arrested for Operating Under the Influence of drugs or alcohol, it is critical that you have a lawyer who understands all the potential evidence in DUI cases including breath testing, blood testing, and the pseudo-science of standardized field sobriety testing. The attorneys with LEWIS &amp; DICKSTEIN, P.L.L.C. are experienced, ethical, knowledgeable, and dedicated. 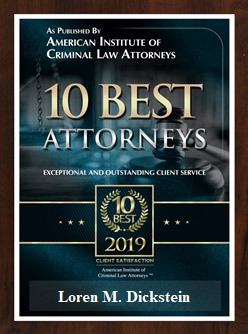 We are also criminal defense specialists who exclusively handle criminal cases, as opposed to the “jack-of-all-trade” lawyers who handle multiple areas of the law and are experts at none of them. The attorneys at LEWIS &amp; DICKSTEIN, P.L.L.C. strongly believe that the playing field must be leveled for you if you face being charged with a crime by the government and all the power that it has behind it. We have the reputation and track-record to effectively defend you. Not all OWI cases are headed for trial. In most cases, a plea bargain can be negotiated with the prosecutor. The attorneys at LEWIS &amp; DICKSTEIN, P.L.L.C. have the reputation, experience, and professionalism required to negotiate the best possible reduction in charges. Although achieving a dismissal of all charges is our first goal, there are cases where a plea bargain to a reduced charge is in the client’s best interest. If a plea agreement is not possible, it is critical to have an attorney who understands how to successfully take an OWI case to trial. When a case is aggressively and intelligently defended, there are even circumstances when an OWI case can be reduced to a reckless driving, careless driving, or another type of civil infraction. How does a lawyer achieve an extraordinary resolution in a case? By being a credible threat. We are extremely well known in Royal Oak, Michigan and are considered to be among the top OWI trial lawyers. Prosecutors and judges know that if our clients are not treated fairly, we are capable and qualified to fight the charges and protect their rights. Many people arrested for DUI feel as though they have already been pronounced guilty of a crime. 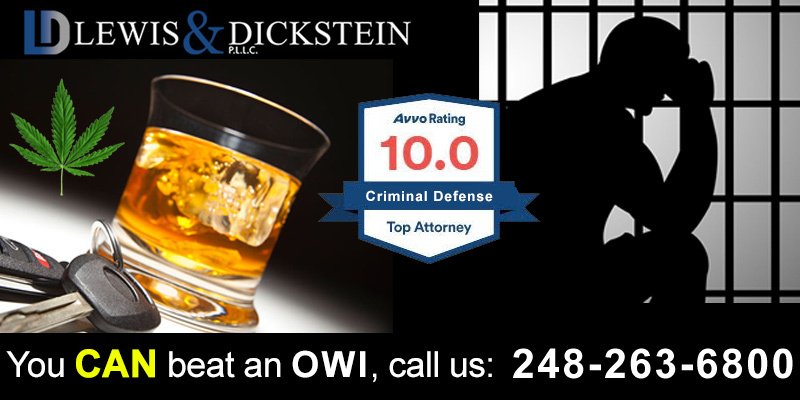 If you have been charged with DUI, you should speak to one of the experienced DUI attorneys at LEWIS &amp; DICKSTEIN, P.L.L.C. immediately. We will help you discover how your case can be successfully resolved before you make an ill-advised decision to plead guilty or no contest. We are backed by a team of highly experienced investigators as well as leading forensic and toxicology experts who can sometimes help us disprove the results of your breathalyzer or blood test. If you, or a loved one, is charged with operating while intoxicated or driving under the influence of alcohol, marijuana or another controlled substance within the 44th District Court in Michigan, contact the attorneys at LEWIS &amp; DICKSTEIN, P.L.L.C. and we will put decades of DUI defense experience to work for you. 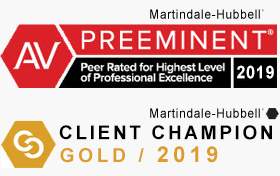 Please call us at (248) 623-6800 for a free consultation or complete a Request for Assistance Form and one of our attorneys will promptly contact you.